Every year, near Christmas, The New York Times puts out “The Year in Reading” in which they ask notably avid readers—who also happen to be poets, musicians, diplomats, filmmakers, novelists, actors and artists—to share the books that accompanied them through that year. For the 2016 Year In Reading, The Times asked a prestigious and diverse readership, including Junot Diaz, Paul Simon, Carl Bernstein, Kareem Abdul-Jabbar, Elizabeth Banks, Samantha Power, Philip Pullman, Ann Pratchett, Orhan Pamuk, Drew Gilpin Fause, Anne Tyler, and many others to share their books of 2016. There was also Booker Prize-winning and celebrated Canadian author and poet Margaret Atwood. Margaret Atwood is a winner of the Arthur C. Clarke Award and the Prince of Asturias Award for Literature as well as the Booker Prize (several times) and the Governor General’s Award. 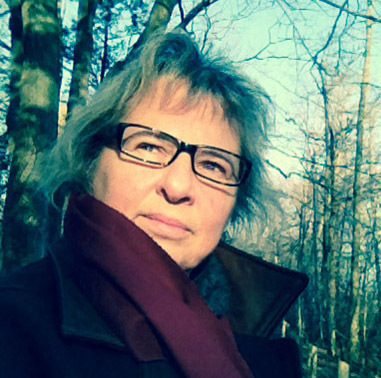 Animals and the environment feature in many of her books, particularly her speculative fiction, which reflects a strong view on environmental issues. Several of her latest works (e.g., Oryx and Crake, Year of the Flood, MaddAddam) are eco-fiction and may be considered climate fiction. Atwood and partner, novelist Graeme Gibson, are the joint honorary presidents of the Rare Bird Club within BirdLife International. Atwood’s highly popular graphic novel Angel Catbird reflects an environmental sensitivity to the balance between wildlife and humans and their pets in urban settings. “Water Is…: The Meaning of Water” (Pixl Press) by Nina Munteanu. “We can’t live without it, so maybe we should start respecting it,” says Atwood. “This beautifully designed book by a limnologist looks at water from 12 different angles, from life and motion and vibration to beauty and prayer.” Water is emerging as one of the single most important resources of Planet Earth. Already scarce in some areas, it has become the new “gold” to be bought, traded, coveted, cherished, hoarded, and abused worldwide. It is currently traded on the Stock Exchange…Some see water as a commodity like everything else that can make them rich; they will claim it as their own to sell. Yet it cannot be “owned” or kept. Ultimately, water will do its job to energize you and give you life then quietly take its leave; it will move mountains particle by particle with a subtle hand; it will paint the world with beauty then return to its fold and rejoice; it will travel through the universe and transform worlds; it will transcend time and space to share and teach. “The Hidden Life of Trees: What They Feel, How They Communicate—Discoveries From a Secret World” (Greystone Books) by Peter Wohlleben. In The Hidden Life of Trees, Peter Wohlleben shares his deep love of woods and forests and explains the amazing processes of life, death, and regeneration he has observed in the woodland and the amazing scientific processes behind the wonders of which we are blissfully unaware. Much like human families, tree parents live together with their children, communicate with them, and support them as they grow, sharing nutrients with those who are sick or struggling and creating an ecosystem that mitigates the impact of extremes of heat and cold for the whole group. As a result of such interactions, trees in a family or community are protected and can live to be very old. In contrast, solitary trees, like street kids, have a tough time of it and in most cases die much earlier than those in a group. Drawing on groundbreaking new discoveries, Wohlleben presents the science behind the secret and previously unknown life of trees and their communication abilities; he describes how these discoveries have informed his own practices in the forest around him. As he says, a happy forest is a healthy forest, and he believes that eco-friendly practices not only are economically sustainable but also benefit the health of our planet and the mental and physical health of all who live on Earth. “Weeds: In Defense of Nature’s Most Unloved Plants” (Ecco) by Richard Mabey. “They’re better for you than you think,” says Atwood. “They hold the waste spaces of the world in place, and you can eat some of them.” Ever since the first human settlements 10,000 years ago, weeds have dogged our footsteps. They are there as the punishment of ‘thorns and thistles’ in Genesis and , two millennia later, as a symbol of Flanders Field. They are civilisations’ familiars, invading farmland and building-sites, war-zones and flower-beds across the globe. Yet living so intimately with us, they have been a blessing too. Weeds were the first crops, the first medicines. Burdock was the inspiration for Velcro. Cow parsley has become the fashionable adornment of Spring weddings. Weaving together the insights of botanists, gardeners, artists and poets with his own life-long fascination, Richard Mabey examines how we have tried to define them, explain their persistence, and draw moral lessons from them. One persons weed is another’s wild beauty. “Birds and People” (Jonathan Cape) by Mark Cocker. “Vast, historical, contemporary, many-levelled,” says Atwood. “We’ve been inseparable from birds for millenniums. They’re crucial to our imaginative life and our human heritage, and part of our economic realities.” Vast in both scope and scale, the book draws upon Mark Cocker’s forty years of observing and thinking about birds. Part natural history and part cultural study, it describes and maps the entire spectrum of our engagements with birds, drawing in themes of history, literature, art, cuisine, language, lore, politics and the environment. In the end, this is a book as much about us as it is about birds. “Time to pay attention to the nonhuman life around us, without which human life would fail,” Atwood concludes. As we enter a new year of great uncertainty, particularly on how we and our environment will fare in a shifting political wind, these books offer diverse insight, a fresh and needed perspective and critical connection with our natural world–and each other through it. Buy them, discuss them, share them. And save this planet. ← Who’s Your Audience and Why Should You Care?